Over the past few decades, the ever-expanding scientific knowledge of the universe and the human condition, combined with the evolution from religion-based to personal morality, has led to a mass crisis of faith. Leaders of most Protestant and Catholic religious traditions, which include nearly 80 percent of Americans, have watched their memberships stagnate or dwindle. Over the years, philosophers and scientists have argued that science has in fact "killed" God, and that if we believe the facts science has presented, we must also accept that God is fiction. Others, holding fast to their long-standing doctrines, attempt to justify their beliefs by using God to explain gaps in scientific knowledge. Having left an upbringing in a family of Mennonite preachers to discover his own experience of God, Galen Guengerich understands the modern American struggle to combine modern world views with outdated religious dogma. 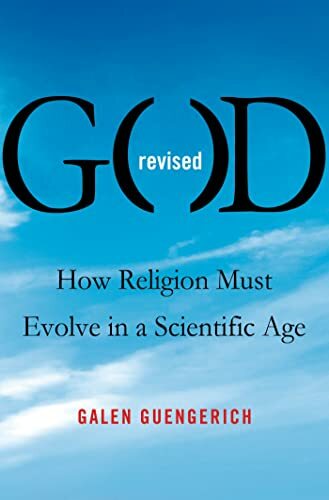 Drawing upon his own experiences, he proposes that just as humanity has had to evolve its conception of the universe to coincide with new scientific discoveries, we are long overdue in evolving our concept of God. Gone are the days of the magical, supernatural deity in the sky who visits wrath upon those who have not followed his word. Especially in a scientific age, we need an experience of a God we can believe in―an experience that grounds our morality, unites us in community, and engages us with a world that still holds more mystery than answers. Rev. Dr. Galen Guengerich serves as the senior minister of All Souls in New York City, one of the largest and most prominent Unitarian Universalist congregations in the nation. He attended Princeton Theological Seminary, and earned a PhD in theology at the University of Chicago. His sermon "The Shaking of the Foundations" appeared in Representative American Speeches 2001-2002 as one of seven responses to September 11, alongside former President George Bush and former Mayor Rudolph Giuliani.